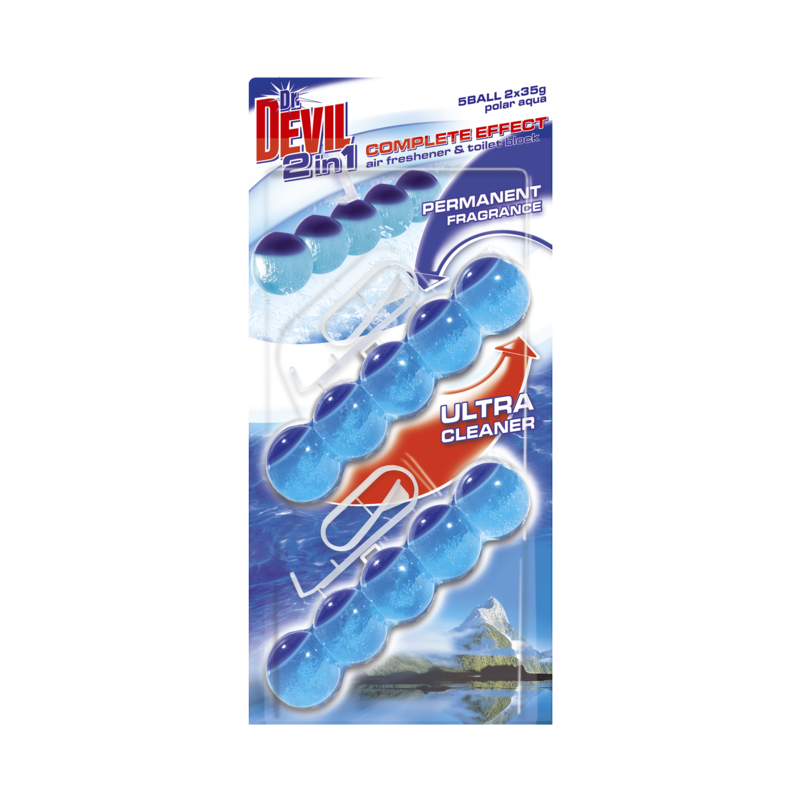 5BALL COMPLETE EFFECT is a 2in1 air freshener and toilet block providing complete care for your toilet. The upper chambers contain a gel air freshener which does not wash away and which constantly produces a fragrance the whole time the lower chambers are still working. These clean the toilet, foam up and prevent limescale deposits forming.